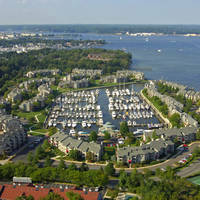 Fishing Creek is the waterway entrance to the town of Chesapeake Beach, which is about 25 miles south of Annapolis. 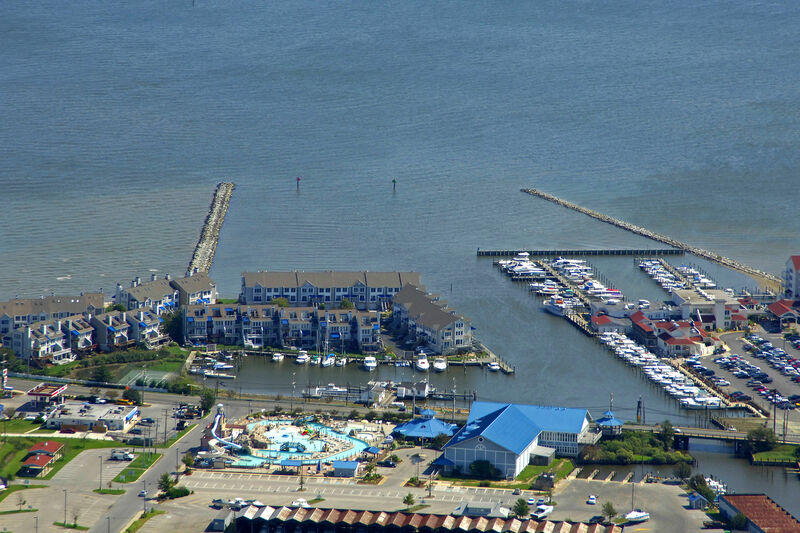 Chesapeake Beach was once home to a thriving gambling industry, but is now a fishing center and beach-like getaway for many Marylanders. 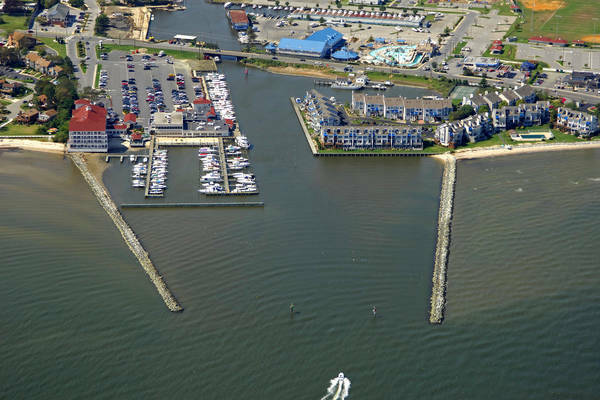 Despite the shallow entrance depths (three to four feet), Chesapeake Beach is a popular stopover point and dining destination for Bay boaters. The image above is a view from the east looking west over the jettied Fishing Creek Inlet with flashing red 2 and flashing green 3 visible on the north and south inlet jetties, respectively. 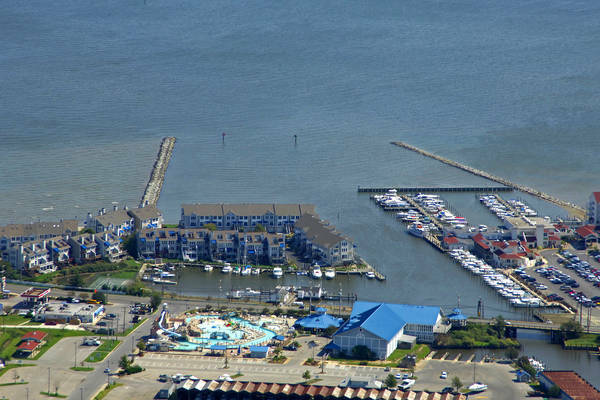 The town to the left (south) is Chesapeake Beach, and to the right (north) is the town of North Beach. 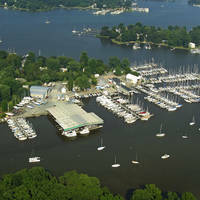 The first marina on the left (south) on entry is the Rod and Reel Marina and Restaurant, which accepts transient guest and supplies gas and diesel fuels. Just beyond the 10-foot fixed vertical clearance bridge on the left (south) is Fishing Creek Landings, which, if you can make it under the bridge, has transient slips, gas, and a lift for haul-out and repairs. About three miles south of Holland Point and Herring Bay off Marylands Western Shore, flashing green 1 marks the entrance to Fishing Creek. The Fishing Creek Inlet has reported depths of three feet with a channel width of 40 feet. 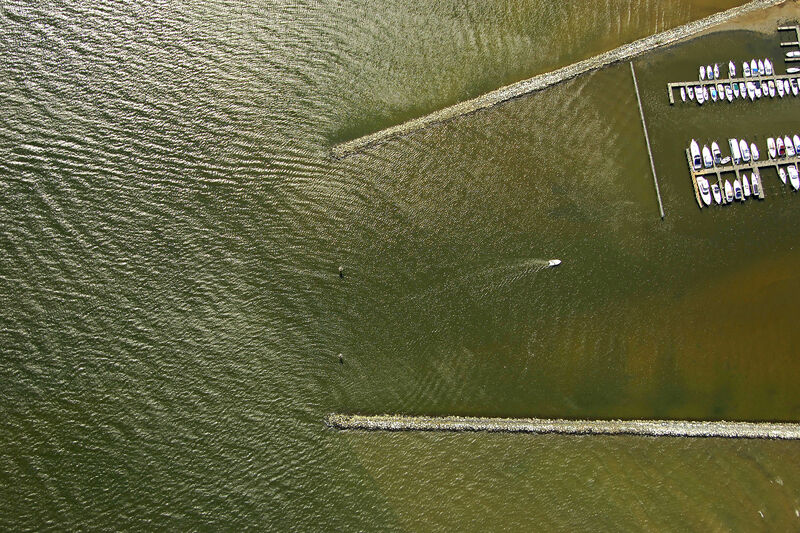 If you are at all unsure as to the conditions at Fishing Creek Inlet, we would suggest calling ahead to one of the marinas on the VHF for local information ahead of time. Once clear of flashing green 1, you can proceed on to flashing red 2 and flashing green 3 farther in at the breakwaters (visible in the image above). 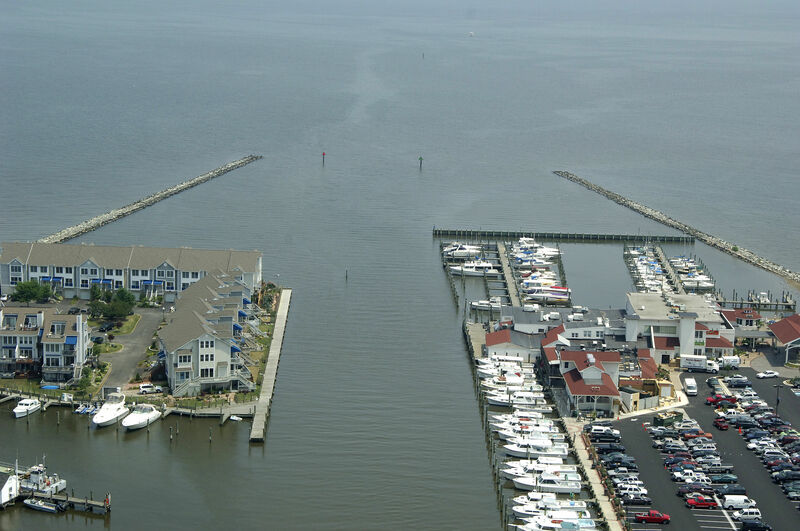 Clear of the breakwaters, you can head toward the marinas on the left and right, if your draft permits. Remember the bridge that crosses Fishing Creek is fixed and only has a 10-foot vertical clearance. No reviews yet! 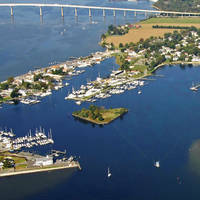 Be the first to write a review of Fishing Creek Inlet.